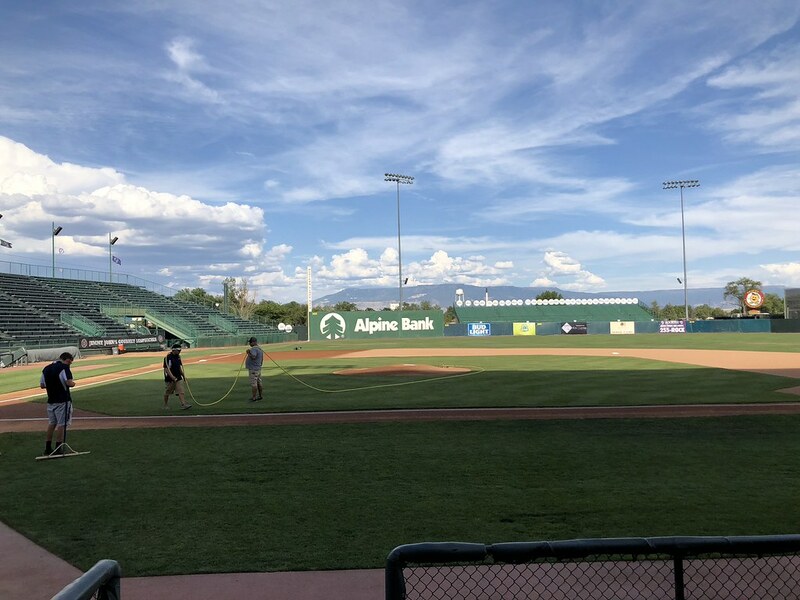 The view from behind home plate at Suplizio Field. 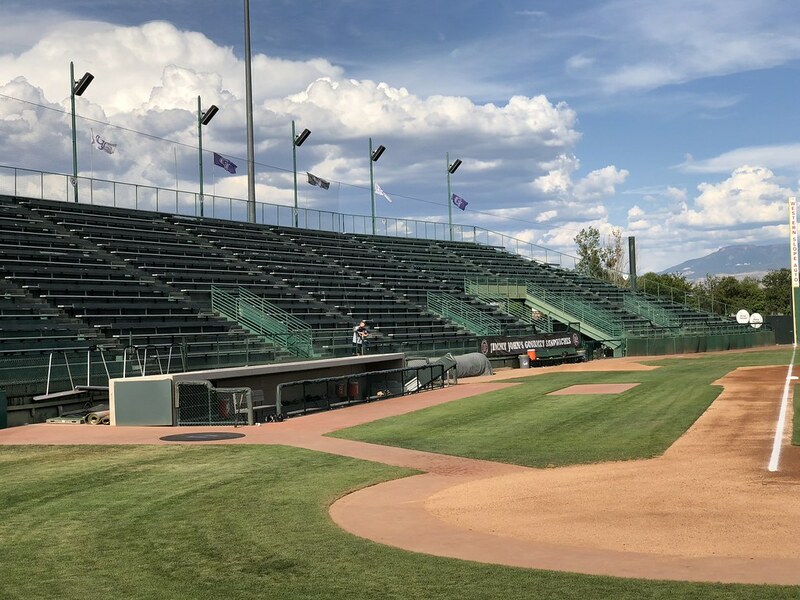 The grandstand at Suplizio Field, as seen from the right field corner. 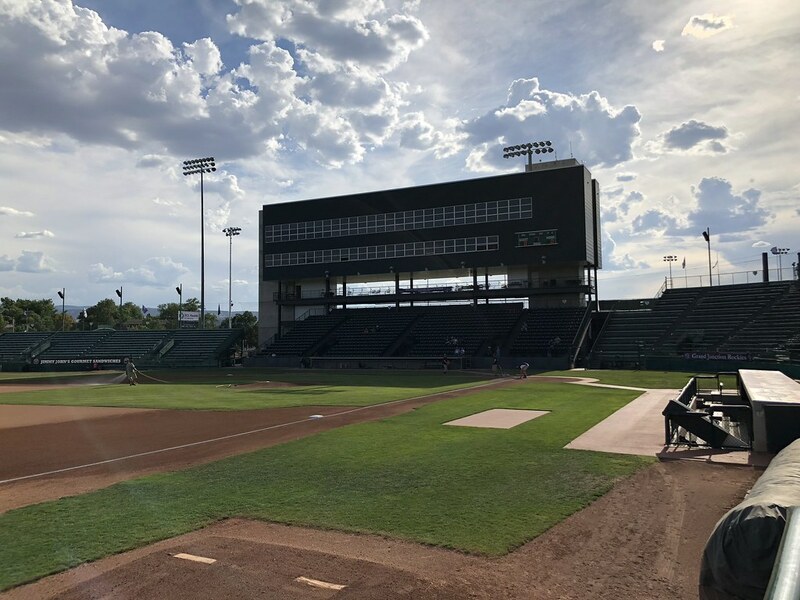 The original pressbox is a small structure at the top of the seating bowl behind home plate. 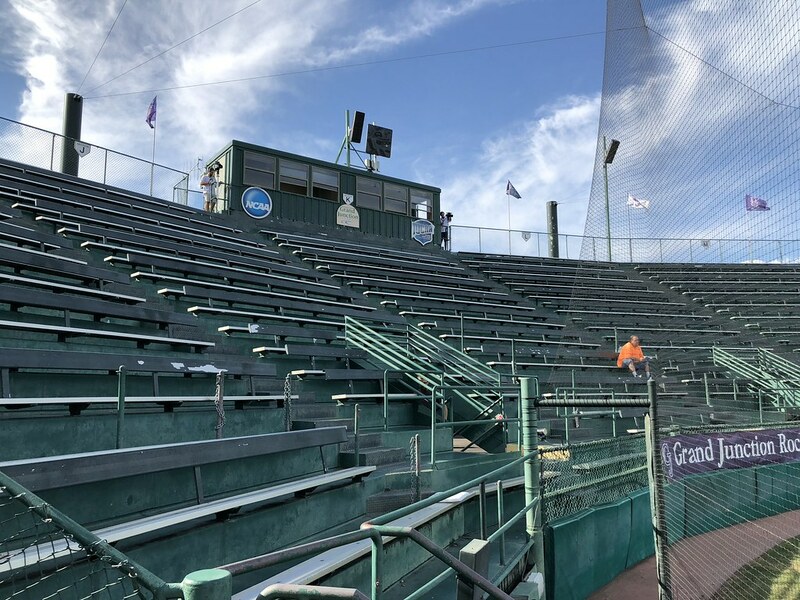 The majority of the seating is on long bleachers that run all the way down both lines. 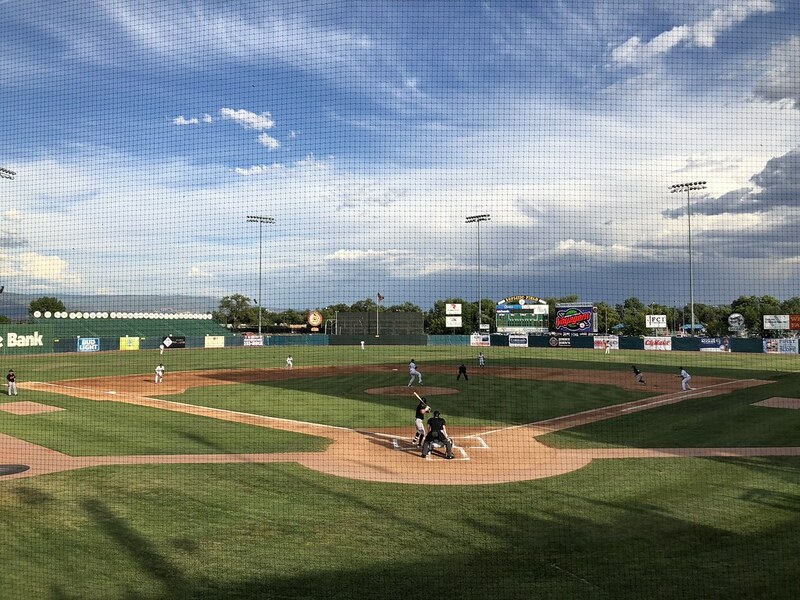 The park has a large capacity as it hosts the Junior College World Series every year. 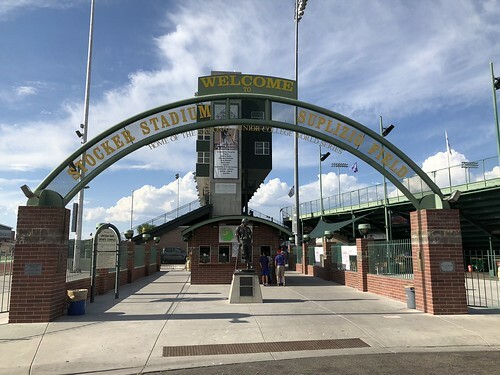 Suplizio Field is adjacent to a football stadium and a massive structure straddling the first base side of the park connects the two stadiums. 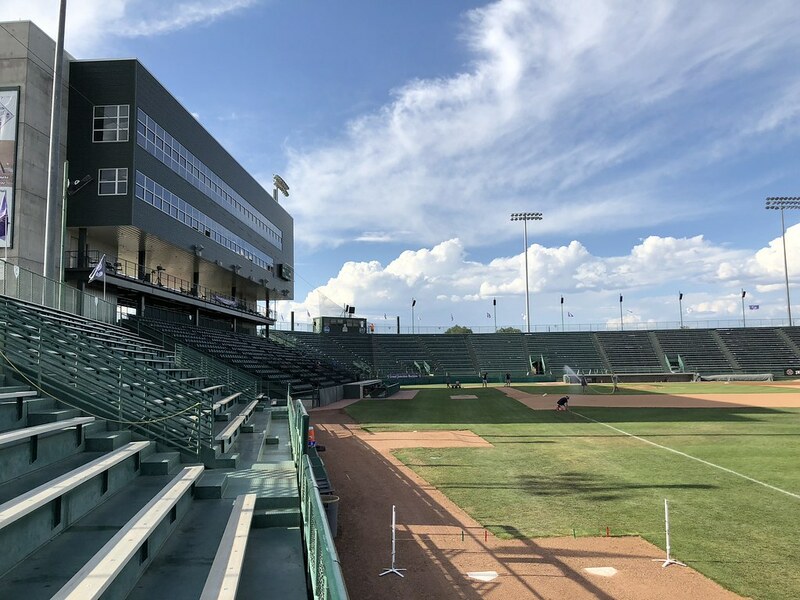 It contains pressboxes for both fields as well as luxury suites and an open group seating mezzanine. 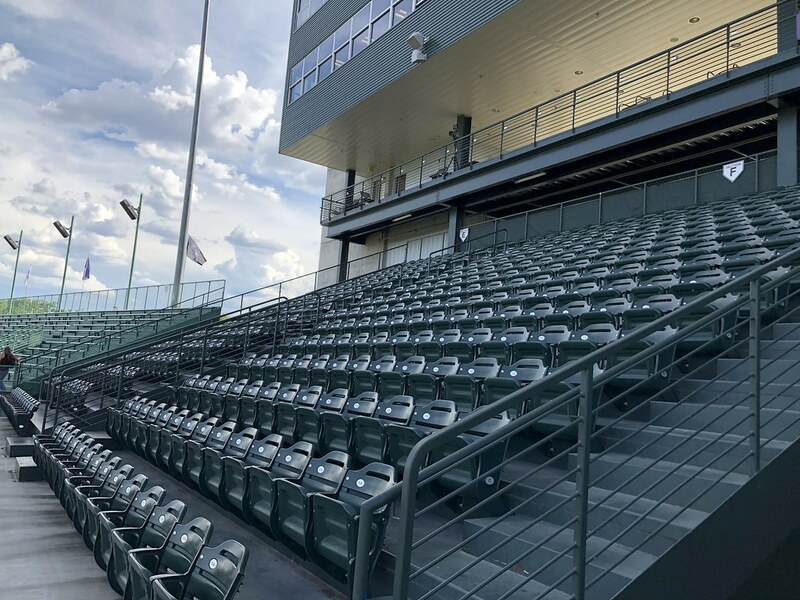 The only fold-down seating in the ballpark is in the two sections directly in front of the large pressbox building. 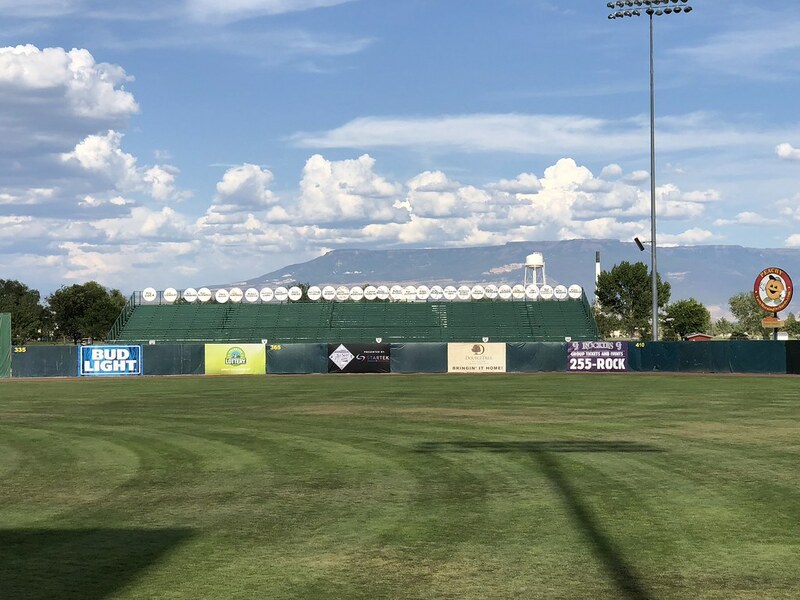 Outfield bleachers sit behind the left field wall. 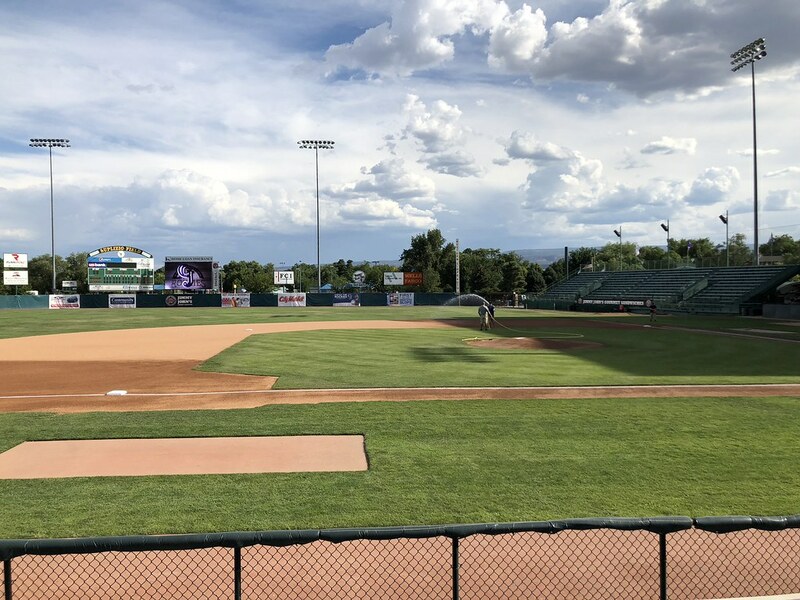 Tables and lawn furniture sit on a patio in the right field corner of the park. 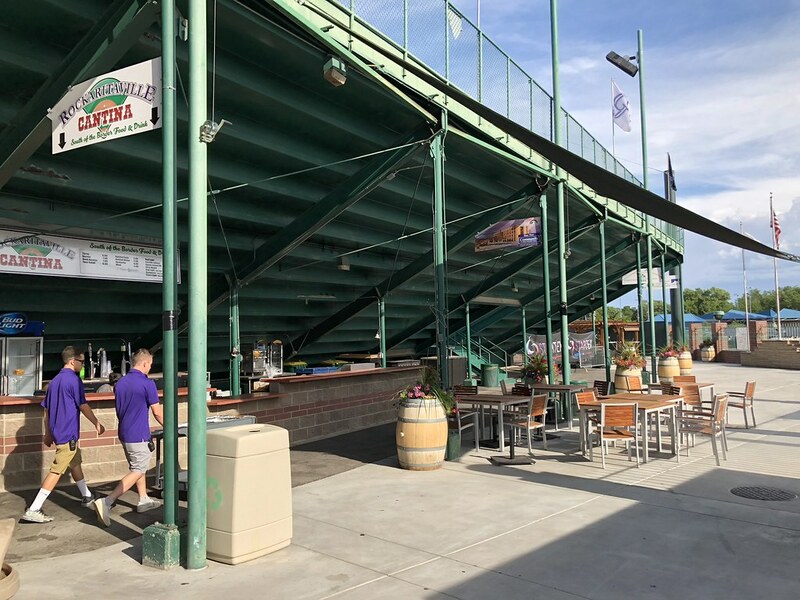 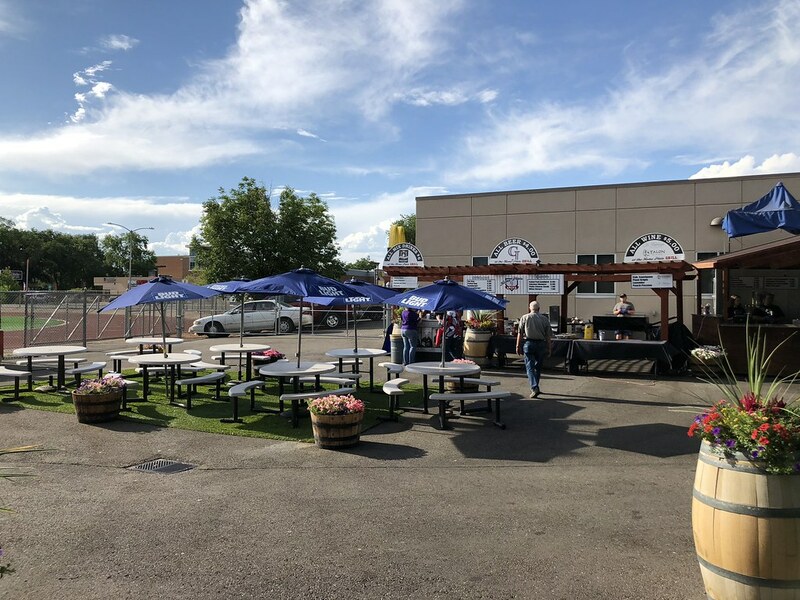 A beer garden and picnic tables sit on the concourse behind the grandstand at Suplizio Field. 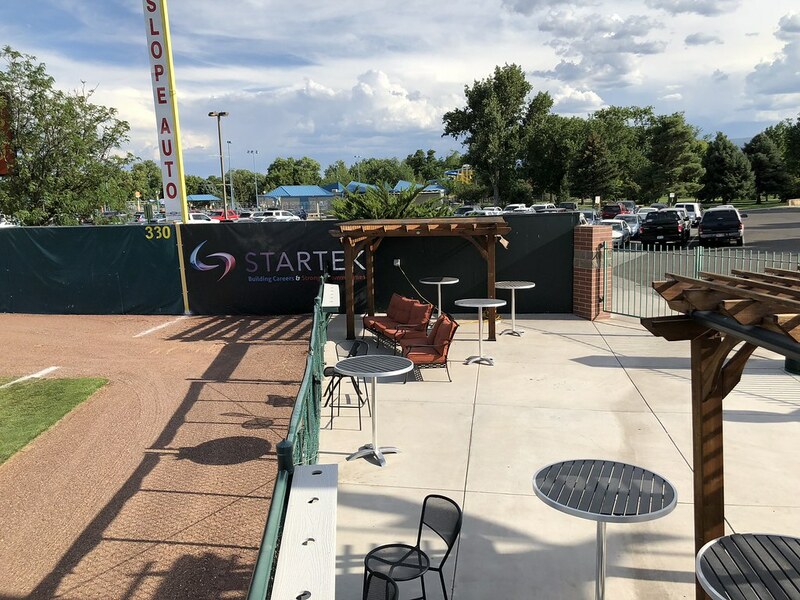 A bar is located under the stands on the first base side. 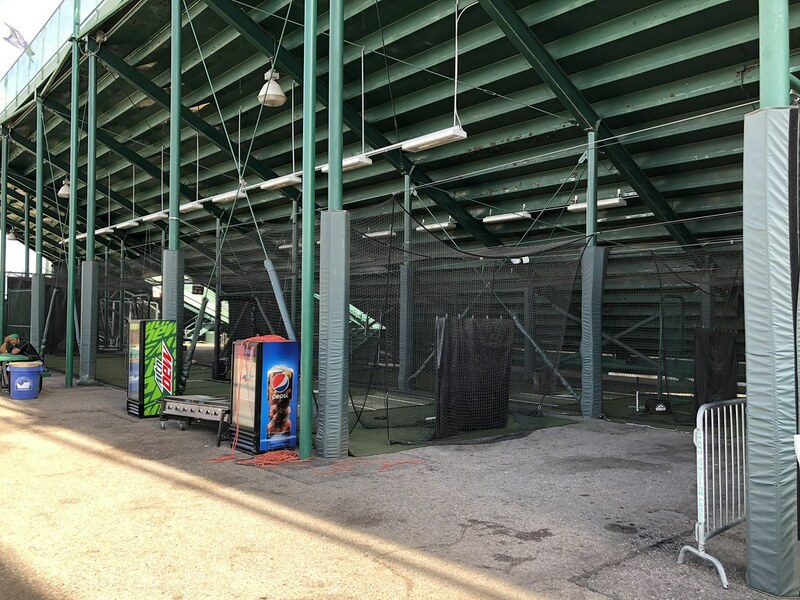 Batting cages are also located underneath the seating bowl. 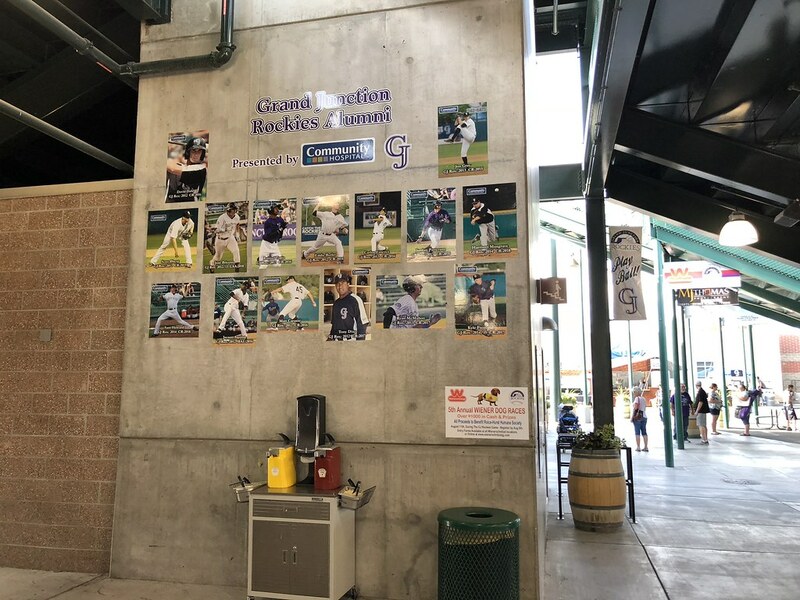 A display on the concourse celebrates former Grand Junction Rockies who have made it to the major leagues. 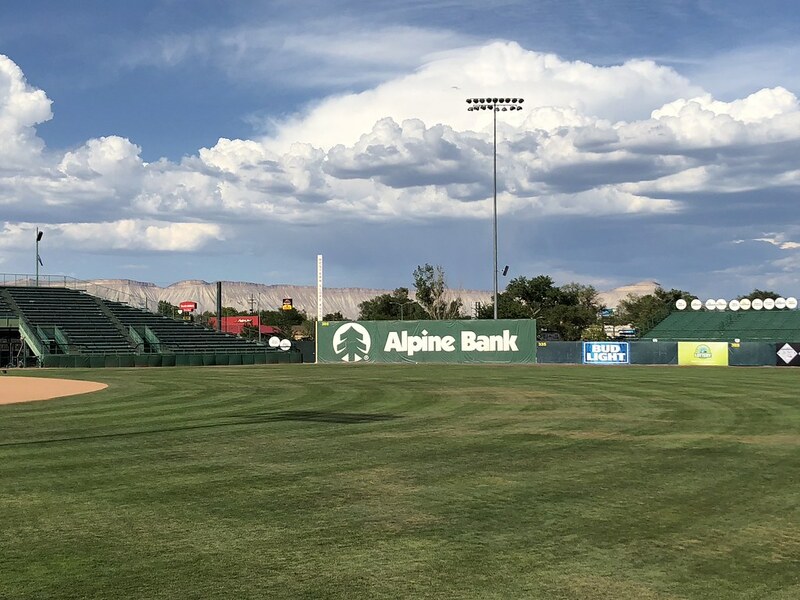 The outfield wall is significantly taller in left field where the fence sits only 302 feet from home plate. 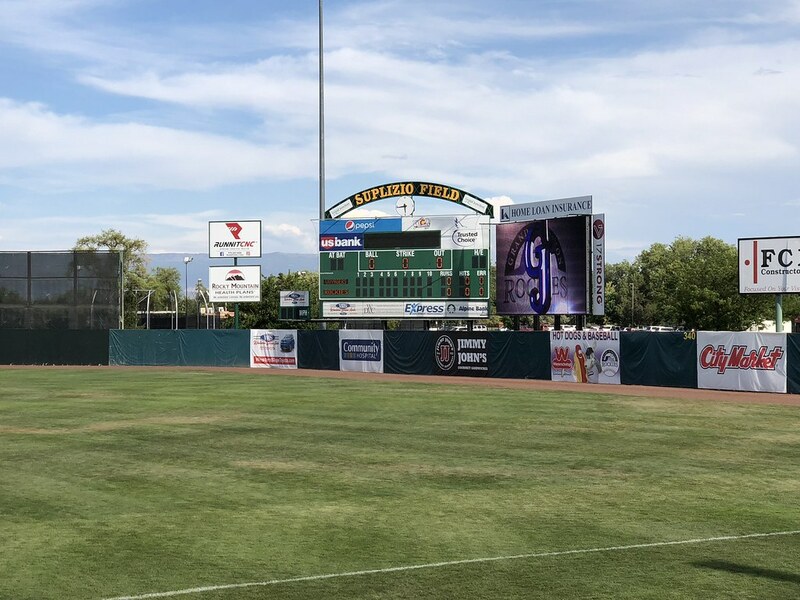 A line scoreboard and video board sit behind the right field wall. 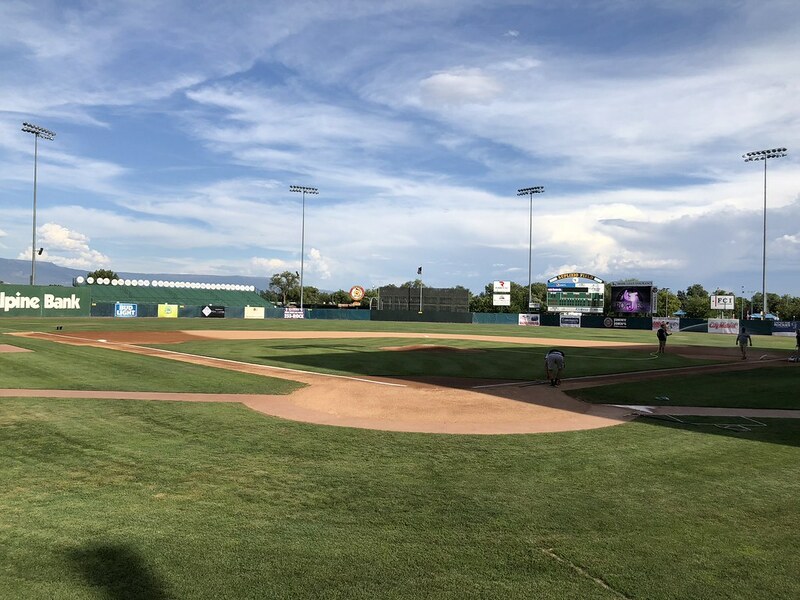 The Grand Junction Rockies on the field during a game at Suplizio Field.